ROCHESTER, Minn. — Mayo Clinic and Pontiac Land Group today announced plans to expand the Gonda Building on Mayo’s Rochester campus to support the growing need for additional clinical space, and to offer patients and visitors to the community a premier hospitality experience. The Mayo collaboration with Pontiac Land, a Singapore-based real estate developer, will help accelerate this long-planned expansion. The 11-floor expansion includes four floors for new clinical space and seven floors for a premier hotel space. The four-floor clinical space expansion provides an additional 200,000 square feet to accommodate current patients and meet the needs of future patients. 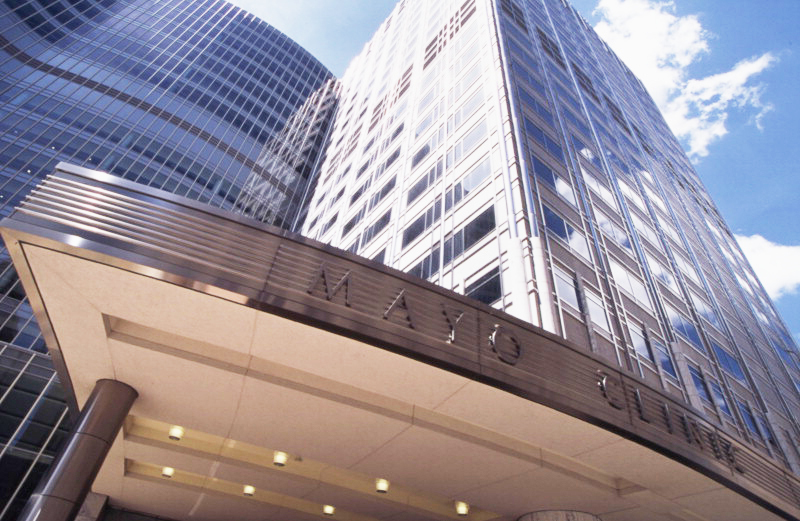 While specific plans for this development are being finalized, Mayo Clinic plans to invest $190 million into the clinical expansion and use the additional space for expansion to the Mayo Clinic Cancer Center and Outpatient Procedure Center. Through this collaboration, Mayo Clinic and Pontiac Land will engage in a joint venture for ownership of the hotel, which will be operated by a major hotel group to be identified and announced at a later date. Pontiac Land will develop the hotel space under the joint venture. The collaboration between Mayo Clinic and Pontiac Land was born of shared vision and values. Both organizations have long-term horizons, believe in operational excellence and innovation, and strive to create a distinctive hospitality option and experience. This is the first milestone in a continuing long-term collaboration between the two organizations. “The collaboration will bring together two fields of complementary expertise: medical and hospitality. Each partner will be able to leverage their individual expertise to enhance the patient and guest experience. We are excited about this collaboration and look forward to delivering a distinctive hospitality experience to match Mayo Clinic’s clinical excellence,” says Philip Kwee, chief operating officer, Pontiac Land. The Gonda family has shared their enthusiastic support for this project. “The Gonda Building is the centerpiece of clinical care integration on our Rochester campus, and this project, offering both expanded clinical care space and a premier hotel option in our community, helps further establish Rochester as a national and international destination for high-quality care for patients with serious and complex medical conditions,” adds Dr. Harper. Preliminary plans are for construction to begin by the end of 2019 or early 2020, with the project being completed by the end of 2022. The project timeline will become available as details are confirmed. Mayo Clinic Gonda Building phase III expansion concept rendering. Courtesy: Pelli Clarke Pelli Architects. Mayo Clinic Gonda Building development timeline. Courtesy: Mayo Clinic. Pontiac Land is a Singapore-based real estate developer with over 50 years of expertise and experience in luxury property development. Collaborating with a select team of award-winning architects and designers who share the group's values and commitment to excellence, Pontiac Land has grown its collection to include hospitality, commercial, residential and medical office properties. Strategically located in prime locations, each distinct architectural achievement is complemented with world-class, exclusively commissioned art to enrich the experiences of its living spaces. Learn more about Pontiac Land.